Additional Info: £50 deposit is required to secure the booking and used as a breakages bond. 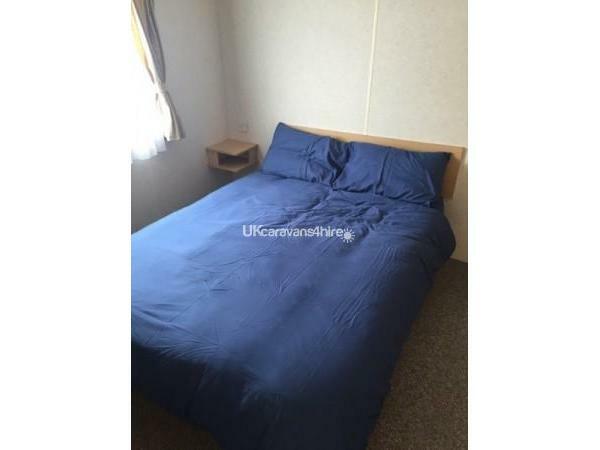 If the caravan is fine after inspection your deposit will be returned. If you cancel your booking upto two weeks before the rental date the deposit will not be refunded, but any rental payments made will be returned. When canceling within two weeks before the rental date any rental monies paid will not be returned. This 12 month caravan park covers winter. 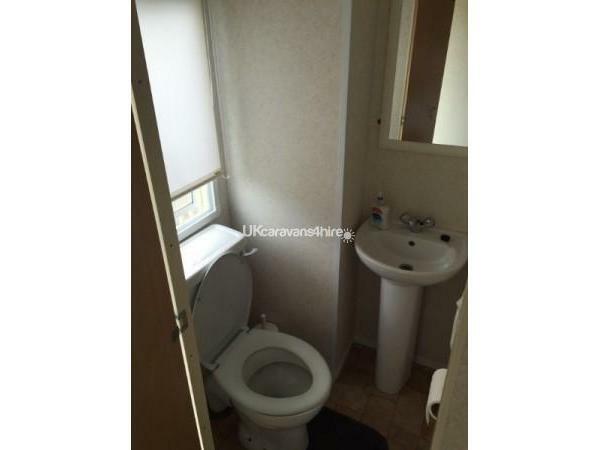 £50 deposit returnable on inspection. Various dates available 4 days Monday to Friday also long weekends Friday to Mondays and Saturday to Saturday. Check in from 1pm and out by 10am. Bedding NOT supplied, you need own pillow cases, bed sheets and duvet covers. Park registration fees apply (passes are included in this). These are paid directly to reception upon checkin. Full payment to be made 2 weeks prior holiday date. Please feel free to call or email with enquires . 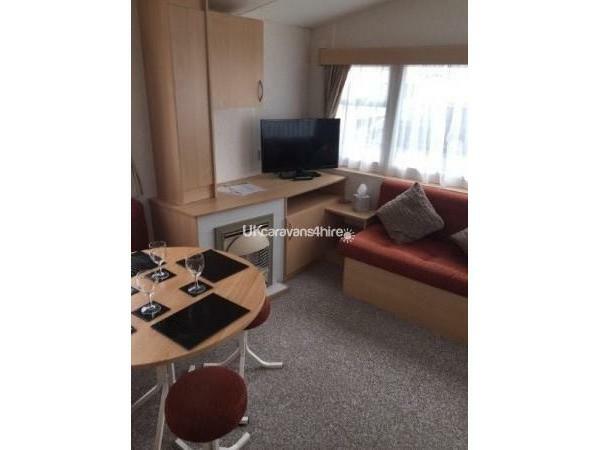 Our silver plus caravan is available for hire and is situated on Golden Sands near the town of Rhyl. 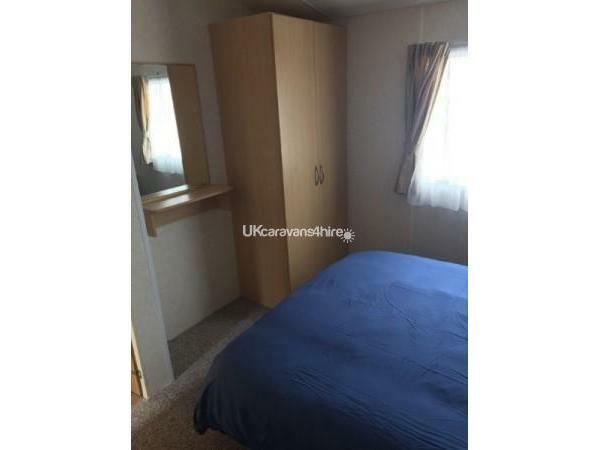 The caravan can accommodate up to 6 people plus space for a travel cot in the double bedroom (travel cot is provided). 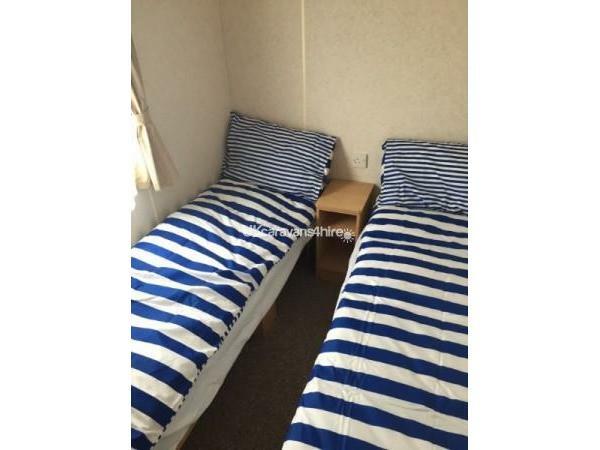 Its just a short distance from the beach, fish and chip shop, laundrette, Rhyl and Towyn centre. 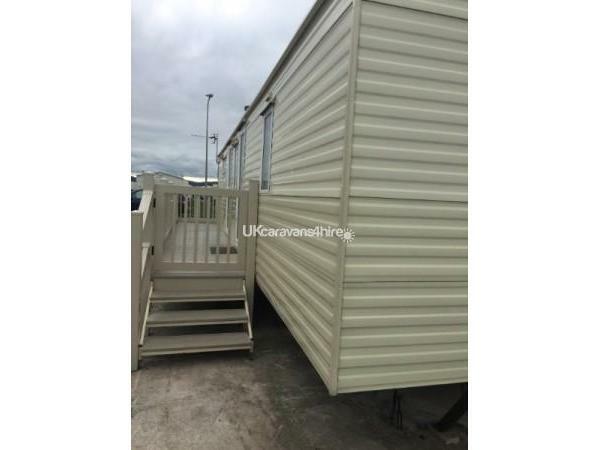 It is fully equipped and has a large car parking space and decking area. Please feel free to give us a call for avalible dates/prices and more information. Deposts are non refundable if you cancel your booking within 2 months of the rental date. 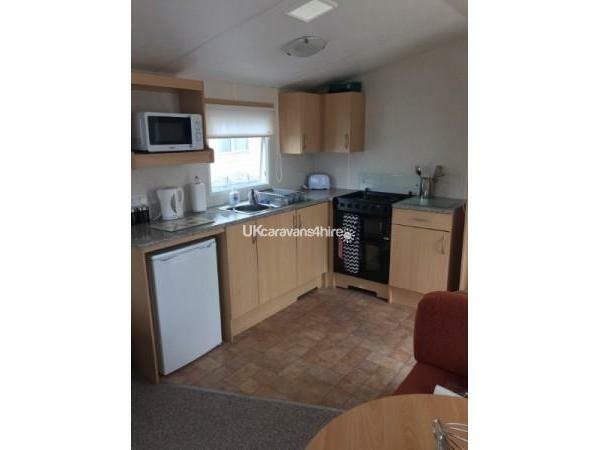 Excellent wide spacious caravan .very clean with everything u need ...microwave , iron ! 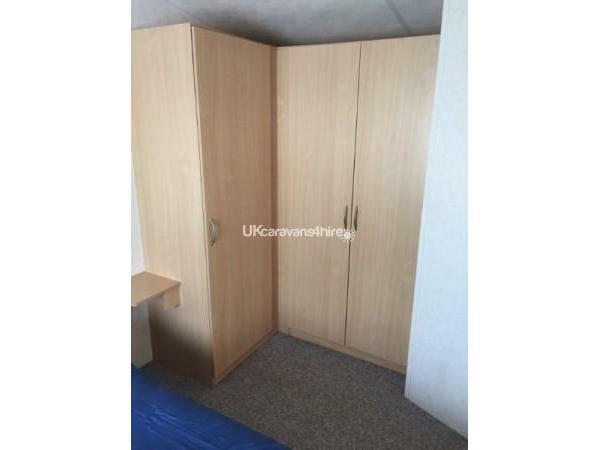 Plenty of wardrobe space, 2 toilets ! Would highly recommend this van .owner very polite and very responsive .was a pleasure to stay here.had an amazing time.we wernt falling over each other, and van is only a very short walk away.thankyou very much. Just had a fantastic 4 days break at golden sands.thank you Lynsey for letting us stay in your lovely caravan.it was spotless and had everything there you need.definitely be back again soon.would highly recommend. First time staying here and will definitely be back again. 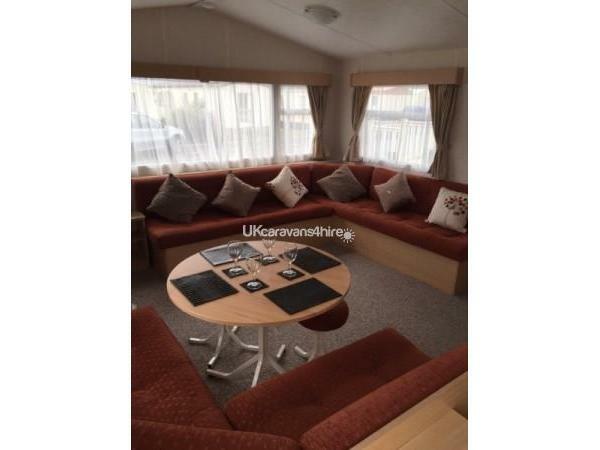 Caravan was very clean and comfy, has everything u need and minutes from beach and entertainment. Thanks again for making our first visit here one to remember. 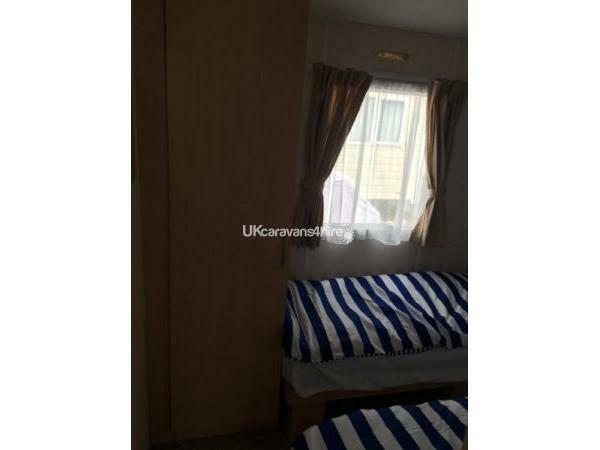 From booking this caravan absolutely first class customer service, caravan spotless and everything you would need. 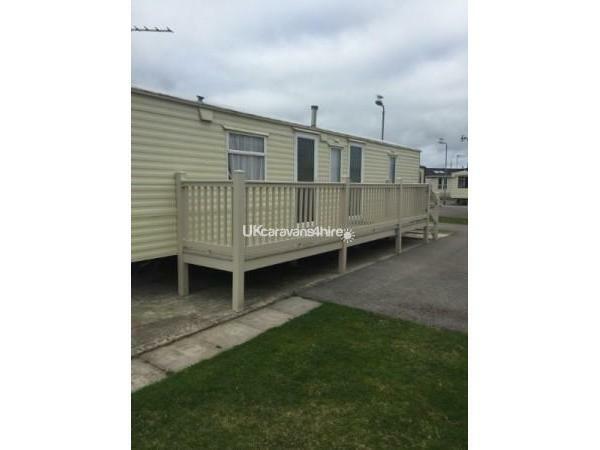 Great site and facilities and 2 minutes from the beach. Had a fantastic holiday and would return without a doubt. Thank you. 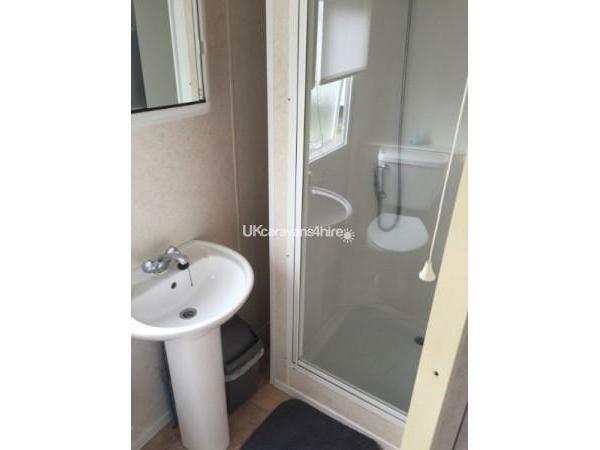 Just spent a lovely long relaxing weekend at this caravan, which was absolutely spotless & fully equipped with everything you may need. It was really cosy & comfortable & situated in a great location - only a 2 minute walk from the beach. We had a really enjoyable weekend & would definitely return in the Summer. Thanks to Lynsey for all her help with booking this - great customer service & we would highly recommend. Thanks Neil, glad you enjoyed your stay and hope to hear from you again, thank you for booking with us. Glad you enjoyed your stay Kerry. Thanks for booking with us. Stayed for a few days over weekend in March with a friend and our young children. Had a fantastic time. Caravan was lovely & so cosey. Lots of entertainment & never ran out of things too do. Defo be returning in the Summer time. 10/10. Thanks very much, Glad you enjoyed your stay at our caravan and thanks for taking good care of it. Hope to hear from you soon. Thanks Stevie, glad you enjoyed your stay at our caravan. Thanks for booking with us and taking good care of our caravan. Glad you enjoyed your stay there and hope for hear from you again, Lynsey & Allan.